James graduated his studies from ACU with first class honours. He undertook the degree directly from school, anticipating to eventually work in the private sector as a musculoskeletal physiotherapist. James took a particular interest in chronic pain sufferers, examining the sensory changes in patients with prolonged pain. Upon graduating James travelled overseas with various agencies to engage in cross-cultural mission and aid, visiting countries such as India, Myanmar, Vanuatu and southern France. James is an enthusiastic traveller, desiring to increase his awareness of diversity and cultures. 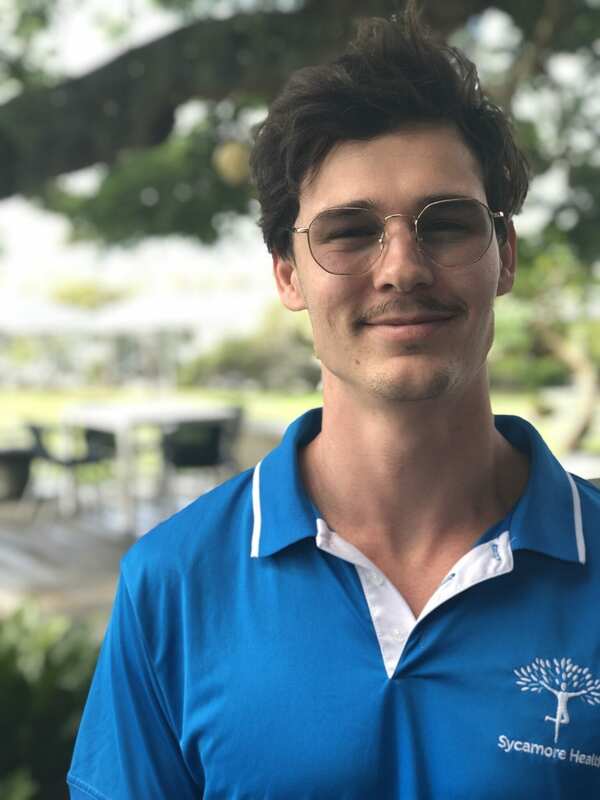 James is also an avid participator in the local community, assisting with young people in their physical and mental wellbeing. He has volunteered for the past four years as a red frog chaplain at Schoolies, and helps at various youth groups in local churches. He is also a founding member and treasurer of the Australian charity ‘His Harvest’, which aims to empower people with philanthropic interests, relieving poverty and destitution throughout the world. He formed Sycamore Health with the ambition to create an all-in-one allied health clinic to better service those with diverse health needs. His focus is to foster a clinic where people can be treated as a whole, providing patients with a friendly team who use the best evidence-based practice. 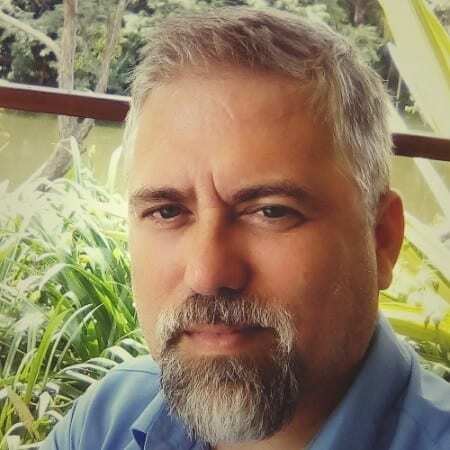 Starting his career later in life, Andrew transitioned out of ministry work with his church in NSW to find a more "hands-on" approach to healing. He completed his Masters in Physiotherapy Studies at UQ in 2015. He has since developed a passion for musculoskeletal injuries, using an array of further education to inform his practice. 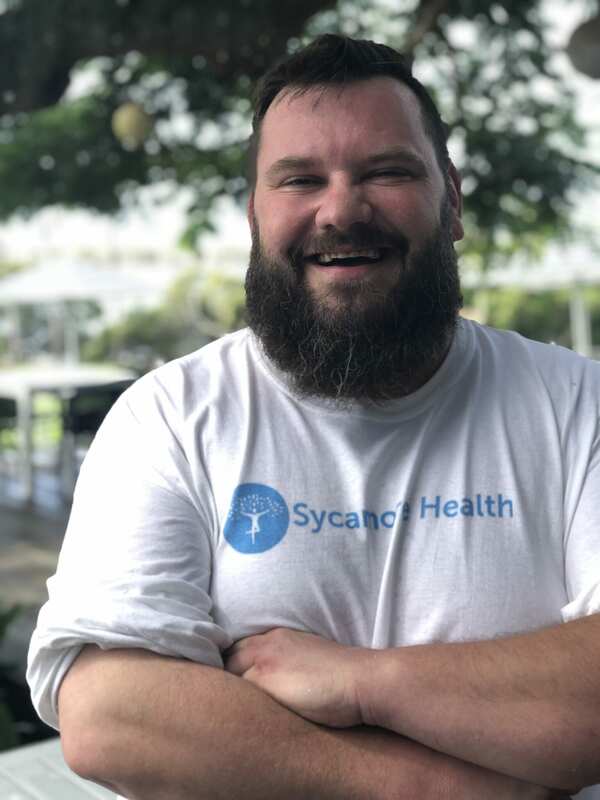 Andrew runs the hydrotherapy sessions at Sycamore Health. He knows it's challenging for exercises to be completed by some above ground, so uses the natural buoyancy of the warm pool to ease patients who are in severe pain. He also treats using dry needling and advanced taping. Andrew lives on the Sunshine Coast and loves the beach-life. Married to his wife Liza, the Edwards and their two boys love to hit the sand and waves whenever they can. Spending a lot of their time with family and friends whenever they're not busy treating patients. That's right, Liza is also a physiotherapist! With degrees in both Exercise Science and Physiotherapy, Mitchell is well equipped to treat musculoskeletal pain with evidence-based rehabilitation, including strength training and hands-on therapy. 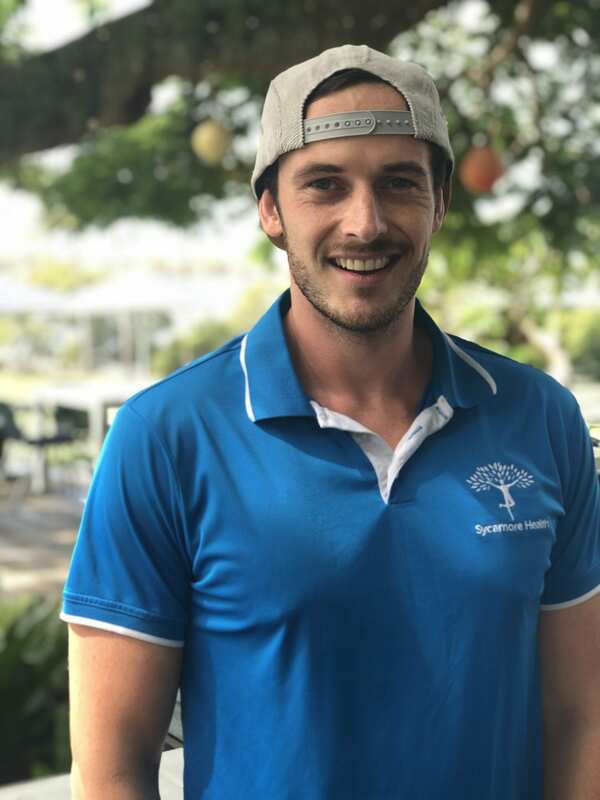 Mitch has a special interest in exercise-based interventions, enjoys staying abreast of the ever-emerging evidence base, and is passionate about educating and equipping his patients with the tools and knowledge to recover quickly and manage their own pain. Outside of work, Mitch enjoys reading philosophy and theology, watching MMA (and having an occasional roll at BJJ himself), and spending time with his amazing wife Emma. Mitch and Em also welcomed their first child, Ezra, into the world in May 2018! FRACGP, BMBCh, MA (Oxon. ), DFSRH, DRCOG, Dip.Ther., UCPE, Dip.Derm. Dr Steve has been practicing locally since 2009 when he came to Australia with his UK husband Wayne. He has four pups; Gizmo Dax and Piper Dax (Weimaraner), Frodo Dax and Mogwai Dax (Great Danes), and lives in Burpengary. Steve qualified from Oxford in 1999 and has a background in the UK of working in health planning, in the doctors’ trade union, and with the UK medical regulatory body. His specialist interests are in the areas of DVA care (especially CVC), Care Planning, Team-working, Medicines management, Renal medicine, Urology and Men’s Health. He is passionate about LGBTQIA issues, enjoys swimming with his pups, and flying his Phantom 4 drone. Dr Steve's personal website is: drsteveoth.com. Dr Steve also enjoys really expensive scented candles and decorating his office with sloth paraphernalia. Helen is a very experienced practice nurse who has worked with Dr Steve for a number of years. 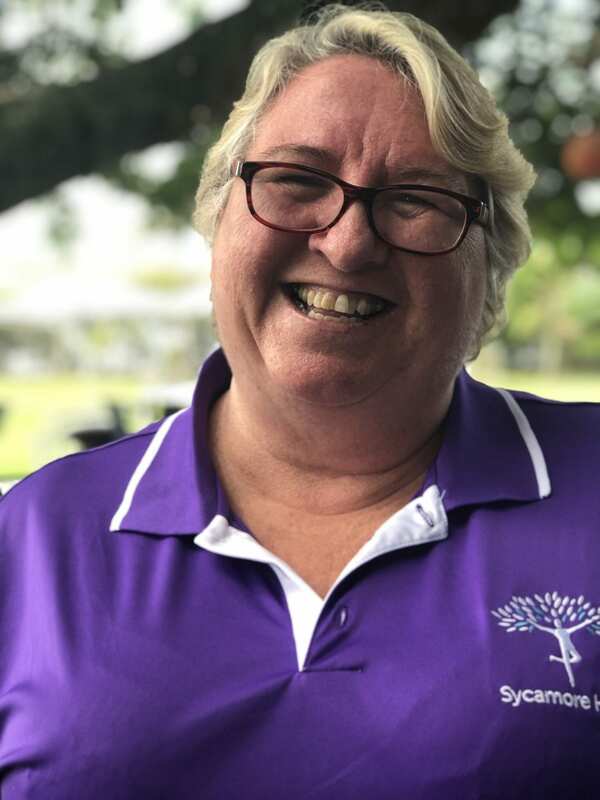 She has recently joined the Sycamore Health team and is an absolute delight to have in the clinic! 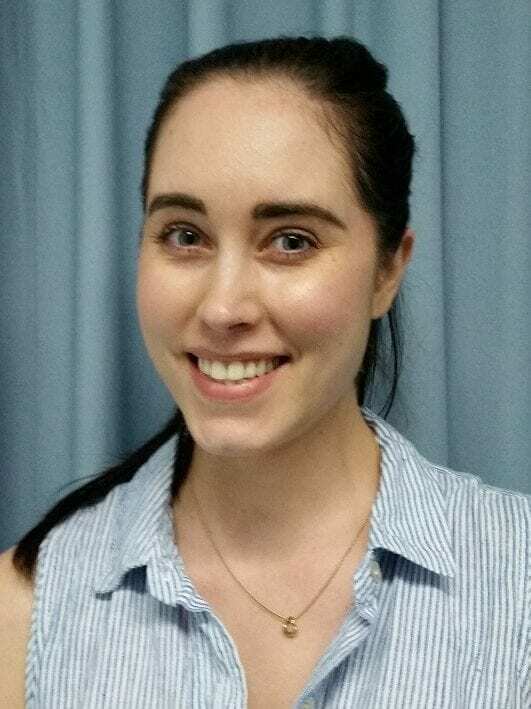 Rebekka has been working as an Accredited Practising Dietitian for almost 5 years. 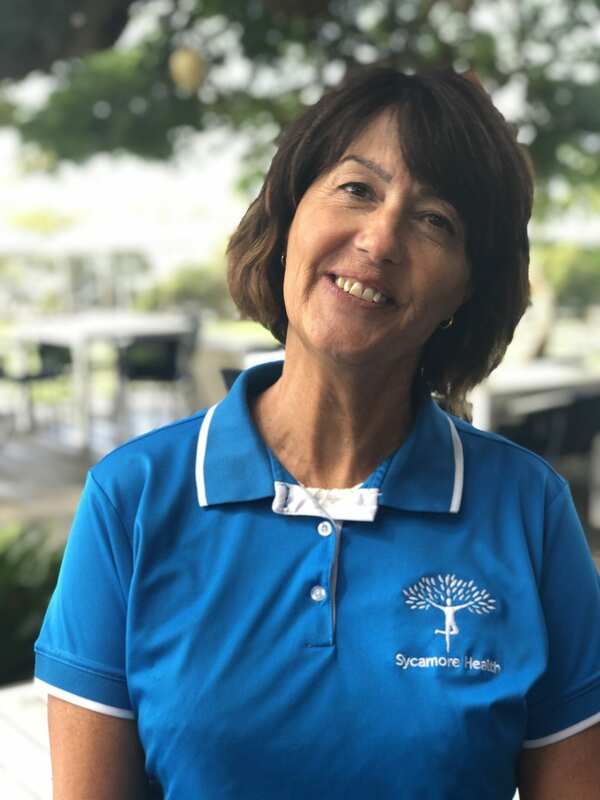 She has worked in major allied health facilities and gyms in the Brisbane area before relocating to the Sunshine Coast in 2018. Rebekka enjoys helping a variety of clients all with different goals and needs. She has extensive experience in individual nutrition management for those with chronic disease, body composition manipulation (fat loss, muscle gain) and generally healthy eating. 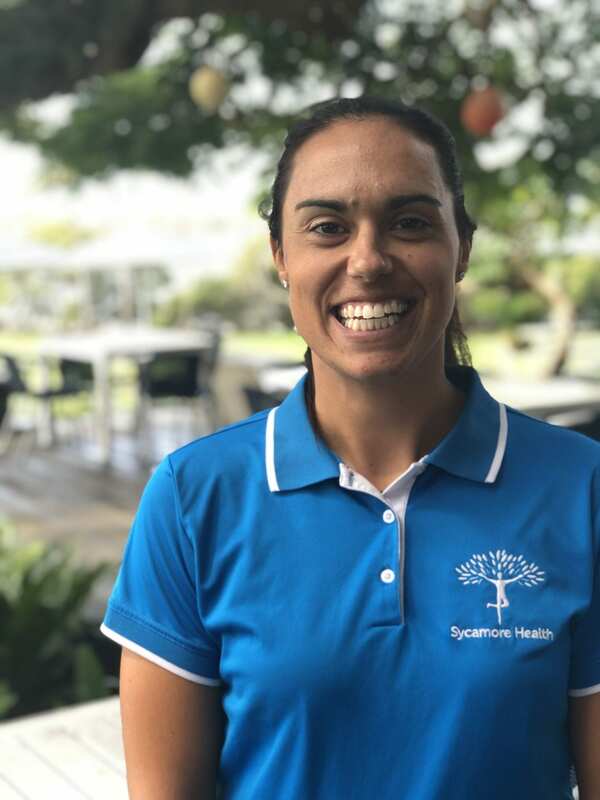 However, Rebekka’s special interests lie in working with athletes (from recreational up to elite level) to enhance their sporting performance as well as working with clients suffering from food allergies and intolerances (including the application of a low FODMAP diet for medically diagnosed IBS). 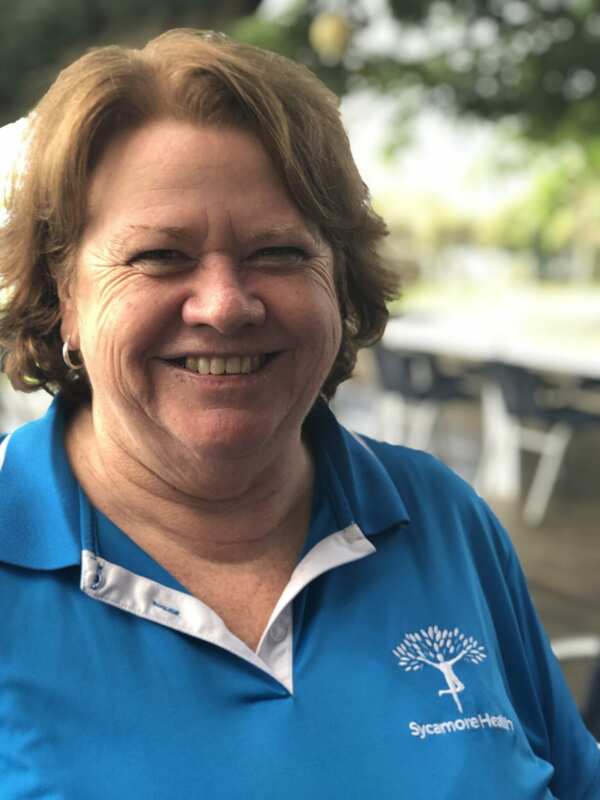 When she’s not working, you’ll find Rebekka in the gym, hiking around the Sunshine Coast, walking her bichoodle (bichon frise x poodle) puppy or experimenting with new recipe ideas in the kitchen. Andrew came to psychology with a wealth of life experience including about 15 years working in law enforcement roles, with other jobs in the import-export industry, dispute resolution and organisational consulting – along with a stint as a hotel cleaner and pizza delivery driver in his youth. 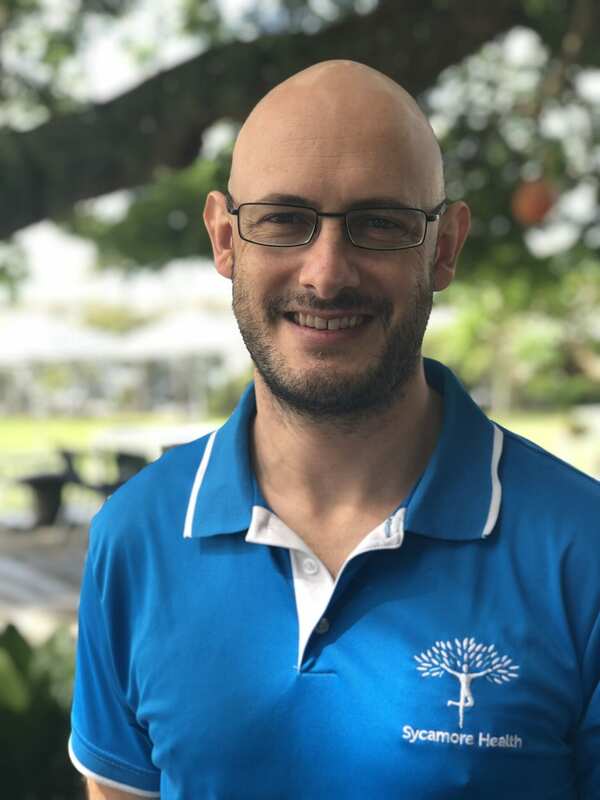 Studying part-time, Andrew graduated with honours in psychology from Queensland University and in 2004 was registered to practise psychology while studying a doctorate in organisational psychology. However, while working in Centrelink as part of his internship, Andrew realised that he preferred helping people one-on-one. He opened his own psychology practice about ten years ago, wanting to provide a low-cost or bulk-billed service to the community. He is committed to providing help to those who need it, not just those who can afford it. Along with his private work, Andrew has worked in a hospital-based home-visiting service for several years.